Email hosting is an online hosting service that manages electronic messages through an email server. The email hosting services are most commonly utilized by small to medium business enterprises, relying on customized email addresses that match the name of the domain of their company website. They enable the users to make various types of email that is utilizing same trailing address, having your own email that is branded by business no matter what its size. Think about it as you would not want to write or invoice your customers on the letterhead of another company. So, why must you use an ISP email address like Gmail or Hotmail in contacting your customers? Web Hosting Bingo gives the users a variety of choices in creating and managing their internal email addresses. All of or email hosting packages come with secure access on POP so all of the famous email clients, such as Eudora, Windows Mail, Outlook, and Outlook Express are supported. Some other features include virus protection and spam, as well as convenient web mail access for you to be able to access your emails when you are not at your computer. 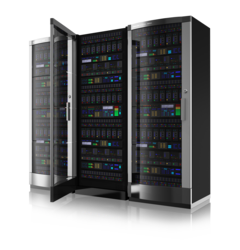 Backed with years of experience in this domain, we have been able to offer the large collection of Bulk Mailing Dedicated Server. These are rendered according to the client’s demands. Further, offered services are admired due to their perfect bulk mailing server, and client-focused approach.